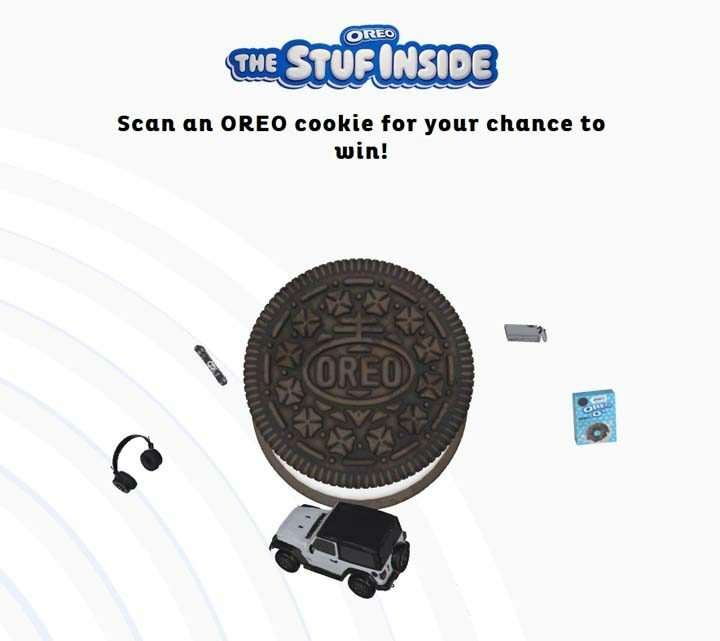 The Oreo The Stuf Inside Sweepstakes is open to residents of the 50 United States, D.C., Puerto Rico and Canada 18 years of age or older. The Oreo The Stuf Inside Sweepstakes ends at 11:59 pm ET on March 6. Locate and/or purchase a package of standard size embossed or thin size embossed Chocolate, Golden, or Red Velvet OREO cookies. Visit oreo.com, thestufinside.com, thestufinside.ca or oreolacremedelacreme.com and follow the links and instructions to complete and submit the registration form. Limit one (1) Sweepstakes entry and one (1) Instant Win Game play, per day, per email address/person. A trip for two (2) to New York City, New York. Trip package includes round trip, coach-class air transportation for winner and one (1) guest from a major airport near winner’s home to one (1) of the major airports that services the New York City, New York area; two (2) nights’ accommodations at a hotel determined by Sponsor in its sole discretion; roundtrip ground transportation between destination airport/hotel; two (2) tickets to the Broadway production Waitress; a gift bag; and $900 in spending money for winner only.